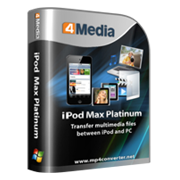 Designed for iPod users, 4Media iPod Max Platinum is an excellent iPod file management tool. Comes with powerful file transferring and converting functions, it can backup all music/movies/photos/books/SMS/apps/contacts in iPod to computer or iTunes, transfer multimedia files from computer to iPod, download and turn online videos from websites directly into iPod playable formats, decrypt and convert CD music and Home DVD movies, create iPhone ringtones and photo albums, etc. This easy iPod Max provides seamless support with nearly all iPod classic, nano and touch, iPhone to assure smooth playback. Support multiple iOS devices simultaneously, you can easily transfer files between different iPod and iPhone. With innate enhancement for file transfer and multimedia file conversion, 4Media iPod Max Platinum can give you the fastest transfer speed and the best picture quality in conversion experience. Backup all contents in iPod/iPhone, including music, movies, pictures, books and photos shot by the device to PC or iTunes, easy and fast. Transfer compatible multimedia files into iPod/iPhone from PC easily and handily better than iTunes does. 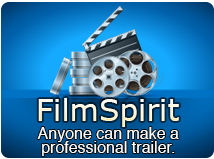 Convert a large range of audios/videos in formats of M2TS, MTS, AVI, MPEG, WMV, DAT, TS, MPV, NSV, MOV, QT, H261, H264, WMA, AAC, AIF, AIFF, AC3 and etc to iPod/iPhone music/movies for playback and transfer to the devices immediately. Enables you to Convert CD and DVD to suitable formats to allow you enjoy favorite music/movies on iPod/iPhone freely. 4Media iPod Max Platinum enables you to logon top online videos websites directly, download and convert exciting online videos for enjoyment on iPod/iPhone in one-step. Don't bother for searching your data connection cable in case it is misplaced 4Media iPod Max Plantinum supports data transfer via Wi-Fi. Enable you to transfer PDF/EPUB format books into iPod /iPhone in fast speed. Create, edit or delete iPod/iPhone playlists and photo albums with ease; classify files by genre, artiest and album. A convenient built-in player is offered which facilitates you to view your iPod/iPhone videos/music and DVD movies directly and capture screenshots in one click. Enable NVIDIA GPU acceleration to promote the operating performance. Automatically select the optimized profiles when importing files. Browse your library by Album List View, Artist list view, Genres list view or Composers list view. You'll quickly find exactly what you want. Find the name of the playlist of the song by clicking "show in playlist" option.